A detailed overview of the gambling law of Massachusetts shows just how many types of gaming is legal, dog racing betting is illegal, while casino gambling is legal, horse racing betting is legal, poker is legal, daily fantasy sports is legal, charitable gambling is legal, and so is the lottery. Social gaming is not legal, and when it comes to online gambling, like many other states, the Massachusetts gambling laws make no mention of it, although the federal law does. The federal laws of Massachusetts include the Unlawful Internet Gambling Enforcement Act of 2006, which prohibits companies from accepting money from internet gambling. These laws address gambling directly in the form of transferring funds, which basically prevent banks from transferring fund to online casinos. The law does not prohibit individuals from joining online casinos or partaking in online gambling activities. The history of gambling dates to when Massachusetts was a colony before it was a state, State landmarks, the Massachusetts State House and Harvard University all built partially by the revenue from raffles and lottery. It was the financial crises in 1970 that forced lawmakers to reinstate the lottery and soon after the all forms of regulated gaming. Due to the blend of old and modern traditions, the law is more complex than in most US states. The history of gambling laws started in 1788 when all dice games, gaming tables and the paying of cards became prohibited. In 1832 all lottery games, as well as all forms of gambling, became state banned, by 1971, the lottery was re-legalised by the state, and in 2011, casino gambling was legalised although limited to only four sites in Massachusetts. Gambling, defined by the Massachusetts law, is winnings worth $5 or more on betting or gaming on hands or sides of gaming, unless under legitimate circumstances. Permitted circumstances or forms of gambling in the state include the state lottery, licensed dog-racing, licensed horse-racing, and charitable gambling. Those residing in Massachusetts can enjoy casino games at both commercial and Indian casinos. The state recognises two tribes, which worked for years to open gambling facilities that are Indian Gaming Regulatory Act regulated. In 2007 the Mashpee tribe gained federal recognition and built Project First Light Casino on tribal land. In 2013, the Aquinnah tribe applied for a Class II gaming licensed to provide games from a community centre on their reservation, which the state blocked, arguing that tribe gave up all their gambling rights in 1983. In 2011 the Expanded Gaming Act enabled the opening of three casino resorts as well as a single slots parlour. In June 2015 the slots parlour opened in Plainridge Park Casino, and the two casino resorts, including Encore Boston Harbor and MGM Springfield, is under construction and could open for business at the end of 2018. The MGM Resort is aiming to open by the 24th of August when the $960 million casinos and hotel complex should be able to open its doors to the public. Built on 15 acres on completion, it would offer 250 hotel rooms as well as a gambling floor of 125,000 square feet. Before the legalisation of legalised gambling, several gambling boats have also operated from time to time out of the harbours of Massachusetts by taking passengers on cruises to nowhere, into the federal water where the gambling laws of the state don’t apply. The first such cruise was the Vegas Express operating from 1998 up to 1999 when the El Dorado and Southern Elegance set out from Gloucester and the Midnight Gambler from Lynn. The Massachusetts population in 2018 reached an estimated 6,895,917, which makes it the 3rd most densely populated area, despite it being the 7th smallest state in the United States, with a surface area of just 10,555 square miles. Top languages spoken in the state includes Mandarin, Chinese, Spanish, Cantonese, German, French and Spanish. Bay Stater’s often find driving to one of the commercial or Indian Casinos time consuming and tiring, while online gambling is available in multiple languages and provide a massive gaming variety. While the state does not prohibit citizens from joining online casinos via its gambling or federal law, thousands have already discovered the array of benefits offered at online, which includes massive bonuses, 24/7 gaming, safe deposit options, fast payouts and assistance is available via telephone, live chat and email 24 hours a day, all year round. 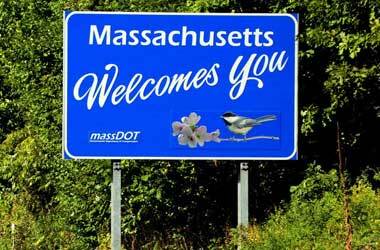 With thousands of online casinos to choose from, Massachusetts residents have a huge choice, not all online casinos accept players from the US, although there are still plenty that is more than happy to do so. The benefits include games offered in several different languages and games are enjoyable at home on desktops or on the go via mobile devices such as smartphones and tablets. To make sure that every casino visit is memorable, highly enjoyable as well as safe and fair, players from Massachusetts should join online operators that are UK Gambling Commission, Government of Curacao, and Malta Gaming Association approved, regulated and licensed. This ensures that the online casino adheres to all the strict rules set by the licensing authorities, which means members enjoy fair gaming, reasonable bonus terms and the highest level of safety, privacy and security. The only thing that prevents some citizens of Massachusetts to register with online casinos is the safety and security hazard of payment options. To guarantee member protection as well as the safety and security of personal information and sensitive data, all online operators uses SSL encryption technology of the same standard as that used by banks. Membership at online casinos unlocks a feast of free bonuses starting from the welcome bonus that instantly doubles or triples the initial deposit. Online casinos offer several promotions, which include daily, weekly, and monthly offers. Standard bonuses available to all existing members include deposit bonuses, reload bonuses, free spins, second chance bonuses and loyalty bonuses. In addition to the long list of benefits offered by online operators, the betting option variety is probably one of the most convenient. Even though players have a bit more money to spend due to no travelling costs, the games offer everyone the chance to spin their way to profits. Slots are the most popular form of online entertainment, and minimum bet starts at just $0.01 per payline, while maximum betting options allow for thousands to be wagered. Online operators accept a diversity of currencies, which completely rule out high conversion rates. Deposit and withdrawal banking methods include debit/credit cards, e-wallets and bank transfers. Due to state and federal law restriction most banks are unable to process online casino payments, which is one of the main reasons why cryptocurrencies enjoy such popularity. How long it takes to enjoy your winnings varies according to the payment method selected, the cashier section offers detailed information regarding the payout period for each method. At most online operator’s cryptocurrencies offer payouts within a matter of hours, e-wallet payments take a few hours up to one day and credit/debit cards up to three working days.